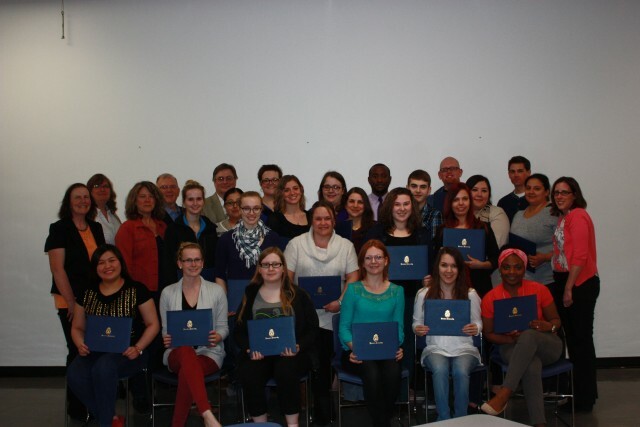 BRANDON, MB – Outstanding student leaders were recognized recently in celebration of their completion of the Student Leadership Certificate program newly offered this year at Brandon University (BU). Student participants received their certificates at a reception honouring their achievements on April 1st. The Student Leadership Certificate Program is a new, non-credit, co-circular program that was developed through the Student Services office at Brandon University. The Program offers free leadership seminars for current and emerging leaders at BU, and features a diverse group of 24 students in their second, third and fourth years of study. Through participation in these seminars over the past academic year, students explored seven topics related to three key themes of leadership: team, individual and personal leadership skills. Learning outcomes included an understanding of prominent leadership theories and developing group facilitation, team work, self-care and time management skills. Students also learned to appreciate the value of diversity and inclusion in work and school life, and how to implement effective inquiry skills. 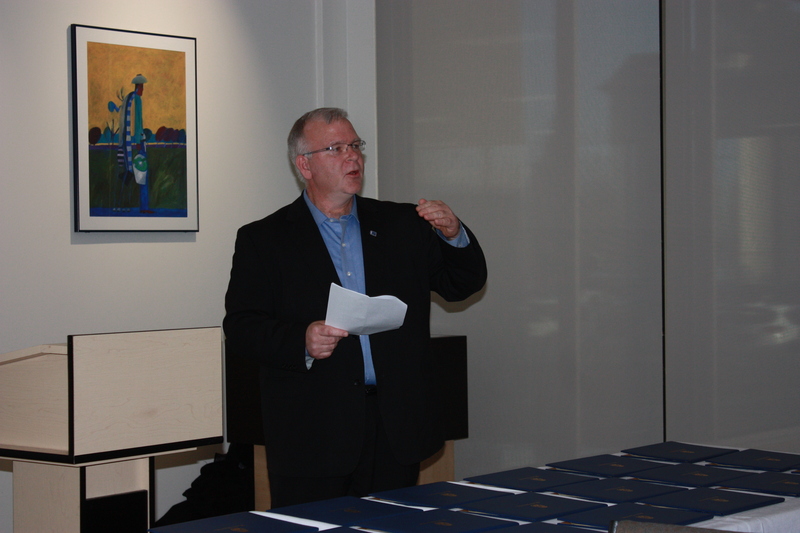 Terry Burgess, Regional Vice-President at RBC and keynote speaker, addresses recipients of the Student Leadership Certificate. A unique aspect of this first-of-its-kind program at BU is a number of the student leaders who are parents were offered access to free childcare while attending workshops, which occurred on Wednesday evenings outside normal daycare/school hours. BU Student Services is also in the process of planning other specialized student leadership certificates focusing on global leadership and Aboriginal leadership. At the April 1st celebration, students heard keynote speaker Terry Burgess, Regional Vice-President at RBC, share his thoughts on leadership and important skills as they enter to job market following graduation.